The Regina Salvation Army is a corporation that helps feed, shelter and support many families and individuals in the city of Regina every day. The City of Regina has raised $4,000 for the corporation through the Mayor's Walk/Run for Fitness. Mayor Michael Fougere presented the cheque to Major Bruce Mac Kenzie and Major Kristiana MacKenzie, who are both corps officers for Regina’s Haven of Hope, Monday afternoon at City Hall. The main goal for the run was to encourage individuals to be active in a fun way. The Salvation Army is very grateful for the donations and participation from the citizens of Regina. ​A wide receiver for the Philadelphia Eagles, Torrey Smith gave a huge help to a lot of shelter pets. In 2012 when he played for the Baltimore Ravens, he stood before the crowd announcing that he and his wife, Chanel, would be covering the adoption payments for 46 of the cats and dogs. When he announced that he and Chanel wanted to do this to ensure everyone had the opportunity to adopt an animal and to be sure they all found a good home, the crowd went absolutely wild. https://www.nytimes.com/2017/05/10/technology/amazon-homeless-shelter-seattle.html?_r=0 The company Amazon is helping aid the homeless in Seattle. Currently the company has a homeless shelter on the sight of their future new building. They have just stated that they will be having the shelter Mary's place as a permanent residence and will incorporate a section of the new office building only for the shelter and it will be rent free for the organization. This is all due to the recent state of emergency the city has gone under in 2015 for their amount of homeless people which is one of the highest in the United States. This will help promote a better image for the Amazon company. 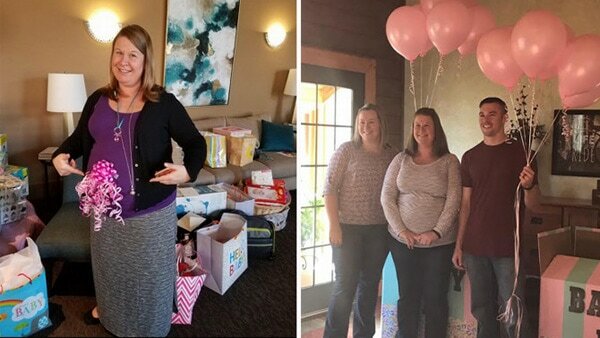 ​33-year-old Melissa Kayser was devastated after her ninth miscarriage. Her Doctors purposed that she use a surrogate. Her sister, Lisa Auten, offered to be her surrogate. Doctors implanted two "poor quality" embryos in Lisa and both of them took. Lisa says she had an easy pregnancy and gave birth to two healthy girls, Tierney and Ashlynn. Our group, The Exiles believe that the world is inherently bad. There are people in the world who do bad unto others. For example, in Chandria's article, a man killed his girlfriend's 2 year old child by throwing it onto the ground. The child was too young to defend itself which makes the action even more cruel. There are also people who will go out of their way to kill a mas group of people for no particular reason. David's article talked about the Manchester bombing where a concert was targeted for no apparent reason.Terrorism has become a huge issue in our society and there seems to be no way to stop it. As well, as being bad to people, man kind is also cruel to animals. In Jenny's article, there is a zoo that has been closed and yet there are animals still trapped in small cages that are inhumane. All these articles have great reasoning behind why the world is bad. In our society, you hear more about the bad than good and that makes it hard to believe that the world is inherently good.